As part of the Interflora network, we import freshly cut flowers and plants from the best markets in Holland on a weekly basis. Together with our fresh supply of flowers, we also import dried and silk flowers and plants, interior decorations, garden furniture and other floral sundries. We pour our energy and creativity into our flower arrangements, which have earned the company its reputation for excellence. 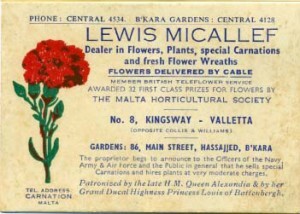 Having once had the privilege of being the sole suppliers of flowers to Her Royal Highness Queen Elizabeth II during her stay in Malta, the company has today widened its web of services. 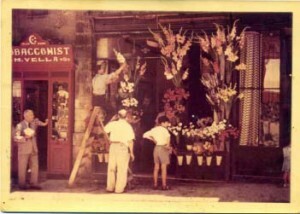 Il-Qronfla caters for weddings, funerals, and any other function where flowers are required. Il- Qronfla is also the principal supplier of fresh flowers to Malta’s luxury hotels, including The Corinthia Group of Hotels, Island Hotels, Radisson, Intercontinental, Starwood, Excelsior, Phoenicia, and the Hilton. Together with hotels, Il-Qronfla extends its services to yachts, super yachts, and cruise liners berthed in the Maltese harbours and marinas. We supply boat owners with fresh flowers and arrangements bearing our seal of quality. For their convenience, our daily delivery service is also available to boat owners. We also offer expert advice and services for office interiors and home and interior decorating. Our daily delivery service is offered to destinations all over the islands of Malta and Gozo. Orders can be placed over the phone, fax or the internet, from the comfort of your home or office. Feel free to visit us at our stores in Balzan or Mosta. You can also order all you need from our online store and we will deliver right to your door.